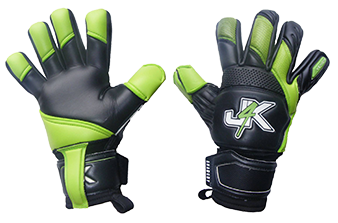 One of the biggest mistake goalkeepers make (even the most experienced of goalkeepers) is they type into a search engine ‘cheap goalkeeper gloves’ when looking to purchase their next pair of cheap goalkeeper gloves. The problem with just typing this goalkeeping glove keyword into google, the strong chances are the keeper is not going to get the goalkeeper gloves that they actually will be best for them. However the people who sadly make this error mistake, is the parents of a goalkeepers. Or a coach buying a goalkeeper glove for their club goalkeeper. Most keepers do not really understand what to look when buying cheap goalkeeper gloves so the naively will just type goalkeeper gloves in google for example and the strong chances are the will purchase the wrong glove that will not fit their shaped hand. So why is typing cheap goalkeeper gloves into a search engine potentially a huge mistake to make? This is because the websites selling the goalkeeper gloves, know how to market correctly so they will get on the first page of search engines for the keyword cheap goalkeeper gloves. So this website might have the best online marketing strategy to get onto first pages on search engines but this does not necessary mean they will have the correct keeper glove for YOU!.